GUWAHATI, May 6 With barely a day to go for the Joint Parliamentary Committee (JPC) to begin its hearing on the controversial Citizenship (Amendment) Bill, 2016, Leader of Opposition of Assam Legislative Assembly Debabrata Saikia has sent a missive to Prime Minister Narendra Modi regarding the ramifications of the passage of the Bill and the plight of ‘D’ voters languishing in various detention camps in the State. Saikia has further said that numerous members of both Hindu and Muslim migrants, who came to Assam pass muster according to the 1971 yardstick, are to be considered as genuine Indian citizens. “Unfortunately, it has been observed that many members of both communities have been labeled as ‘D’ or ‘Doubtful’ voters and harassed by the state machinery despite qualifying as citizens according to the existing citizenship criteria. Since the obvious goal of the Citizenship (Amendment) Bill, 2016 is to help the Hindu Bangladeshi migrants, among others, it would be appropriate to mention a few cases which indicate that the Government of India’s immediate priority should be to protect the rights and interests of those migrants who have already become genuine citizens of this country. What is the use of paving the way for more settlers in Assam if those who have already become citizens cannot be safeguarded from harassment?” Saikia questioned. Several thousand cases of suspected ‘D’ voters being sent to detention camps, according to Saikia’s missive to the Prime Minister, include that of a poor and illiterate centenarian, Repati Das, and his wife Titlibala. “He was born in 1912 in the Bazarighat area of Karimganj district, as was his father, Bipin Ram Das. Repati Das and his wife had to rot in a detention camp although his name appears in the voters’ list of 1966, all because his name was erroneously spelt as ‘Rebati’ in the 1966 legacy data. A freedom fighter from the Barak Valley, Prafulla Chandra Saha, had to undergo untold harassment after being tagged as a ‘D’ voter. One Bandana Das (53), whose son Ripon Das is a BSF jawan, was placed in a detention camp even though her parents, Upendra Das and Simantini Das, are genuine Indian citizens with legacy data of 1966. The list of people who were penned into detention camps despite having bona-fide credentials include Paresh Das (62) of Thandapur village in Hailakandi district, Krishna Sen (35) of Borkhola, Pratima Roy (72) and Bidhan Chandra Deb (55) of Salganga, Dhiren Das Malakar (48) of Mohanpur, Nimai Dey (55) of Bakrihawar, Gauranga Paul (50) of Algapur Bazaar and Puna Munda of Simlitola TE. 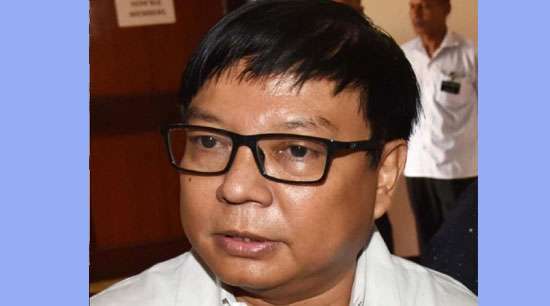 Interestingly, the list of those named as ‘D’ voters include the names of Pradip Paul and Mitali Paul, the brother and sister-in-law of BJP MLA Dilip Paul, who is the incumbent Deputy Speaker of the Assam Legislative Assembly,” Saikia said in his letter to the Prime Minister. Saikia said that both the Government of India and the Government of Assam have turned a blind eye to the woes of these unfortunate people. “Sometimes, mere lip service cannot take the place of determined political will and visible action on the ground,” he said, and added that violating the cut-off date as mentioned in the Assam Accord would only set a fresh fire in the State.